Robot hoovers are sold to us as smart devices that will make our lives easier. Without a doubt, most of us are leading far busier lives and we have far less free time. But are robotic hoovers any good? In this article, I list some of the main pros and cons or advantages and disadvantages of owning one. Lets jump straight in and start examining the advantages of owning one of these gadgets. Verdict: Are Robotic Hoovers Any Good? After a quick brainstorm, I can think of seventeen possible advantages of owning a robotic vacuum. The first pro is that they are time savers. A recent study in the UK revealed that the average Brit will spend almost eight years of their life doing housework and that we spend just over an hour a week vacuuming. Robotic vacuums will save you time- plain and simple. The second advantage is the help these gadgets can provide to vulnerable people. Apart from the time it takes, some people physically cannot manage or are not strong enough to do the hoovering. Robotic hoovers can give elderly people or people with certain disabilities greater independence because they do not need to rely on someone else. The third advantage is related to scheduling. Many of the top robotic vacuums can be scheduled for up to 7 days in advance. It doesn’t matter if you’re at home or not; the unit will start cleaning automatically, based on how you program it. The fourth advantage comes because the very best models are incredibly responsive. These models can be told exactly where to clean and where not to clean using features called “virtual walls”. An example of this could be to instruct your machine not to clean around your desk because there are too many cables for it to be tripped up on. Many automated vacs are clever enough to know when their battery is running low and will find their own way back to their docking station to recharge. The really clever models, after recharging, can resume cleaning from where they left off without cleaning the same areas twice. No matter what sort of floors you have in your home, most models of robotic hoovers will vacuum them all- carpets, wood, tile or laminate. Only the very best models are guaranteed not to get stuck in very thick (or high pile) carpet and thick rugs can be challenging as well. Also, the robotic vacuum units are designed to be very small. As a result, you will have no problem going under the furniture and in those spots that are very hard to reach. With their help, you will eliminate any dust accumulations naturally as you get to have the best results on the market. There are some robotic vacuums can locate areas that are particularly dirty and spend more time getting them clean. This means whenever there’s a mess on the middle of your carpet; the robotic vacuum will clean that for you naturally and without any kind of issue. Some robotic vacuums can even mop floors as well as vacuum them. Of course, the performance differs based on what model you use, but for the most part the return on investment will be more than ok.
You will also notice that there are tons of unique models to choose from. Some are simple, others complicated and so on. The idea is to figure out what works for you and adjust based on that. It’s certainly worth checking out, as there are lots of options for you to think about. The fact that you get automatic cleaning offers a lot of convenience, and many people simply enjoy watching the vacuum as it moves around their home cleaning. Nowadays, many gadgets can be linked to and control via our phones. Some of the more expensive units also have their own phone apps, which make it even easier for you to see what the robotic vacuum cleaned. In addition, you can use the dedicated app to make the scheduling process a lot easier. Many robotic vacuums have brushes and powerful suction that have been designed to be tough enough to pick up lots of types of debris, including pet hair. No matter how sophisticated a robot vac is, sometimes they will get stuck. If this happens an alarm will go off kind of like a cry for help. Or if your vac has an app for your phone, you will be notified via that. For a long time now, robotic vacuums have been designed to not fall down stairs with “cliff detect” sensors that will cause the unit to stop and reverse a little. Like many top smart devices, the latest robovacs can respond to voice commands given via an Amazon Echo device or a Google Home device. So there you go. Those are my seventeen advantages to owning a robotic hoover. Unfortunately, there are some downsides to these great little machines and after a quick think, I can come up with eight disadvantages that you might want to think about. The first disadvantage is that you will still need to do some old fashioned hoovering with your upright vacuum as even the best robotic hoovers will not do a perfect job. There will still perhaps be some areas of the floor that need some extra manual cleaning. But that could come down to how clean you like your carpets to be. Contrary to what many people believe, there is currently not a robovac that can clean stairs. And while many robotic vacuum models will have a good orientation, you can expect some of them to get stuck as well. As already mentioned, these machines are small. They don’t have a large dustbin and so you can’t expect them to collect huge amounts of dirt. Which is not that great, because they fill up fast. If you have a dirty home, it will require you to remove the dustbin multiple times. Not that convenient, and certainly the type of thing that will make you question a potential purchase. Keep in mind the fact that a robotic vacuum’s battery life is not a very long one. Most of these have a battery that lasts for 1-2 hours, which depending on the size of your house, might not be enough. And yes, the price of these items can be very high. 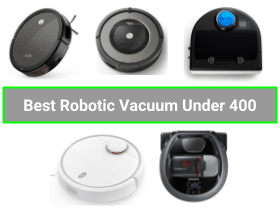 Sure, there are some affordable models, but for the most part, you will notice that the robot vacuums are quite pricey, and that limits the number of people that can afford them. The latest and greatest robotic vacuums are brilliant navigators thanks to very sensitive mapping techniques. But however clever they are, you will probably have to tidy away some clutter and move some furniture before you let them loose, just to make sure that the machine does not get stuck halfway round. Although one of the big markets that robotic hoovers are targeted at are pet owners, these magical gadgets will terrify many cats and dogs as they move around your home because won’t like the noise or how it moves so randomly. And so there you have it, my eight reasons why robotic hoovers might not be a good idea. To finish off, I would like to go back to the original question. 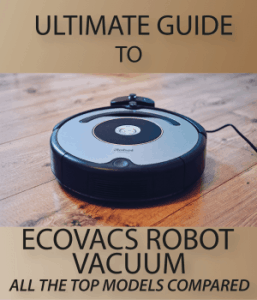 I think that purely as a numbers game, the fact that I quickly came up with 17 advantages to owning one of these devices and only 9 disadvantages shows that robotic vacuums are a good thing to own. My favourite advantage is self charging. I love watching my robovac make its own way back to its docking station when it is tired! And in terms of disadvantages, I think that price is a big stumbling block for many people and I think that the very small size of the bins in these machines can be a huge frustration for many users. But of course, many of us are thinking of buying a robotic vacuum cleaner for very personal reasons. And the good news here is that there are a huge range of models to choose from at lots of different prices.